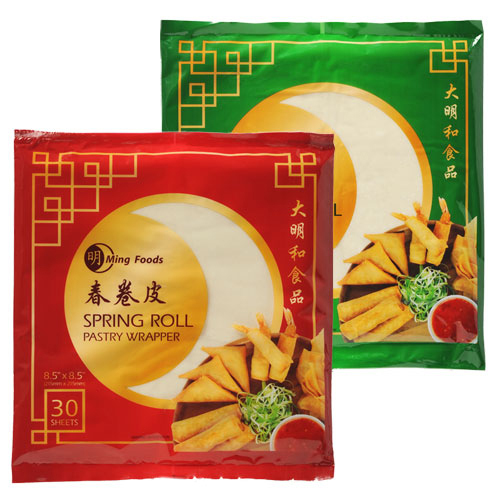 The Spring Roll Pastry Wrappers are sourced from Asia and made for Ming Foods. After spending years developing the recipe it is now available, innovation and recipe development is ongoing to ensure we deliver the perfect wrapper for our market. Made using the finest ingredients. No artificial colours, flavours or preservatives. Suitable for use in vegetarian dishes and halal certified.